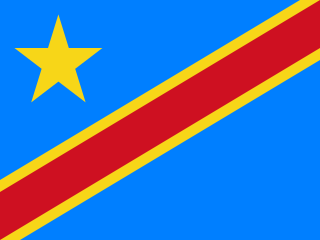 The Democratic Republic of the Congo is a multilingual country where an estimated total of 242 languages are spoken. Ethnologue lists 215 living languages. The official language, inherited from the colonial period, is French. Four indigenous languages have the status of national language: Kituba, Lingala, Swahili and Tshiluba. The Order of La Pléiade is an honorary order of the Organisation internationale de la Francophonie. It recognizes people who particularly distinguished themselves in the service of its ideals of cooperation and friendship, promoting the role of the French language in their own countries or in the world. It was created in 1976 on initiative of the Assemblée parlementaire de la Francophonie. The Constitution of Mauritius mentions no official language. It only contains a statement in Article 49 that "The official language of the Assembly shall be English but any member may address the chair in French," implying that English and French are official languages of the National Assembly (parliament). However, the majority language and lingua franca of the country is the French-based Mauritian Creole. English is used as the prime medium of instruction in public schools while French is also a common language in education and the dominant language of media. According to the Organisation internationale de la Francophonie, 72.7% of the Mauritians were French speakers in 2005. Mauritius shares this distinction of being both English- and French-speaking with Canada, Cameroon, Rwanda, Seychelles and Vanuatu.